The Force Awakens opened on December 18. I’ve discussed Star Wars modelling previously in this post: http://creativedioramas.com/2015/10/lag-time-or-why-it-takes-so-long-for-some-models-to-be-released/. 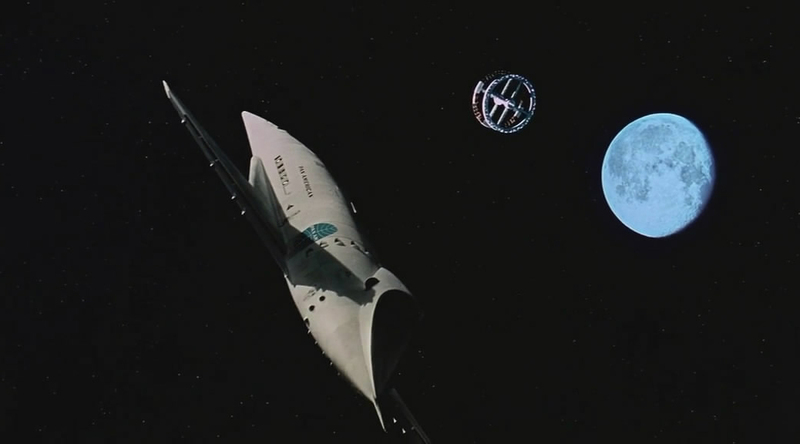 So now seems like a good time to revisit the silver screen’s most famous sci-fi franchise. Predictably, mainstream media critics are tripping over themselves to praise the movie. It’s hard to find a negative review in a printed publication. There’s a small but honest minority who point out that the movie is a tepid rehash of Episode 4: A New Hope. To make the film politically correct, Disney enlisted J.J. Abrams (the same director who turned Kahn into a white guy in the last Star Trek movie) to rewrite the Luke Skywalker character as a girl. And the stormtroopers, who were supposed to be clones of Jango Fett, have mysteriously changed nationalities and genders as well. If this sounds familiar, it’s because Hollyweird has been applying the same revisioning formula to movies for several decades. It’s all part of the media’s cultural brainwashing agenda, which Disney supports and enables. This organization bears no resemblance to the Disney of old which delighted children with harmless fairy tales. Disney now provides impressionable young minds with role models like Lindsay Lohan, Britney Spears and Miley Cyrus, who shed their squeaky clean child star personas and go off the rails with alarming regularity. You can set your watch by it. Since J.J. Abrams knows he’ll never approach the artistic level of a Gene Roddenberry or George Lucas, he doesn’t attempt to create original characters on his own. Rather, he confines himself to copying and/or rewriting existing characters, destroying any continuity established in previous films. This is euphemistically called “rebooting the franchise” but in reality it’s a joke on movie fans and a testament to the creative bankruptcy of film studios. Some fans blame George Lucas, accusing him of selling out and abandoning Star Wars. Sell it he did, for the reported sum of $US 4.05 billion. But no-one can call Lucas greedy, given that he’s planning to devote a large chunk of the proceeds to charity. What many don’t realize is that Star Wars would have met the same fate even if Lucas had stayed at the helm. He’s told reporters that he plans to divert his attention away from making movies for 12 year old boys, and redirect it towards making movies for 12 year old girls. Not surprising for a dad who now has two daughters. Rather than being angry or bitter about what’s happened to Star Wars, let’s remind ourselves that all things are temporary—movie franchises included. George Lucas created a modern myth—a sci-fi epic that sparked our imaginations and stood the test of time. We should thank him for his great contribution to science fiction film. I won’t be going to see The Force Awakens. It’s a Disney movie, not a Star Wars movie. But I’ll continue to enjoy all six episodes of the Star Wars saga. I watch them every Christmas—a time when we reflect on the things we loved as children—and this year will be no exception. 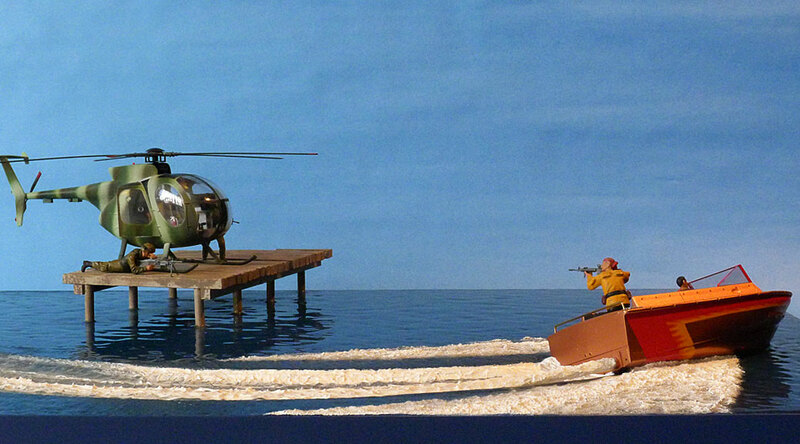 There’s a generally accepted “rule” that a diorama must contain figures to qualify as such. If, for example, your A6M2 Zero is shown parked on a runway strip, along with a generous assortment of palm trees, sandbags, oil drums and spare parts, it is not considered a diorama, but merely a “base” for your Zero model. As soon as you add a couple of figures (let’s say a pilot talking to his mechanic), it is magically lifted to the status of a diorama. The rationale for this dictum is that a diorama should tell a story, or at least depict an event. Thus, figures are needed. I find this argument somewhat short-sighted. It’s quite possible to tell a story without figures. 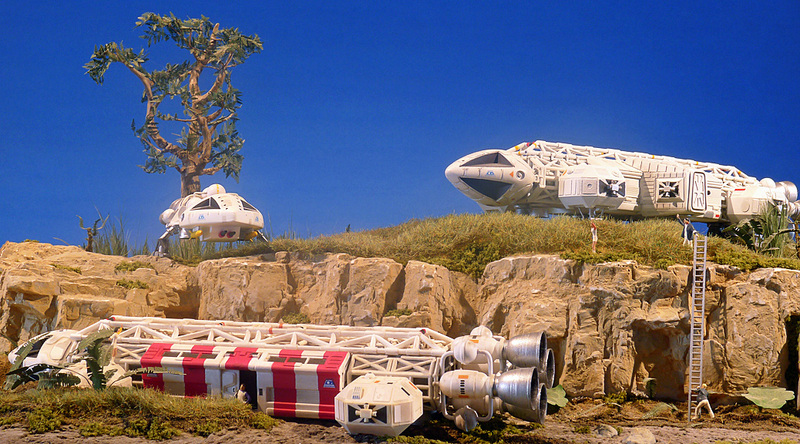 Consider the example of a 1:200 scale scene of a large aircraft (let’s say a B2 bomber) crash landing in a forest. Due to the scale, no pilot or crew would be visible through the cockpit canopy. And the forest would presumably be uninhabited, unless you count small animals (which would be difficult to model in 1:200 scale). This is a much more dramatic event than a pilot talking to his mechanic. Yet some would say the crash landing scene is not a diorama because it lacks figures. There are many examples of great works of art which don’t depict people, yet still tell a compelling story. The science fiction masterpiece 2001: A Space Odyssey is famous for the “machine ballet” which opens the second act of the film. Director Stanley Kubrick devotes several minutes to showcasing elegant spacecraft gliding through the void to the strains of The Blue Danube. He makes a powerful point by contrasting the beauty and harmony of these machines with the stilted, shallow and dull interactions of the characters in the movie. This is storytelling at its finest. So how did it come to be that all dioramas are supposed to have figures? I’ll venture that it was a lack of imagination. No-one could figure out (pun intended) how to tell a story without putting people in it, so someone decided to dumb things down by mandating an easy fix: thou shalt have figures in thy diorama. Like most easy fixes, this one is a bit problematic: it makes false assumptions about how a story should be told. In fact, it’s a lot like the characters in 2001: stilted, shallow, and dull.